Getting natural ruby is a tough task. Getting a natural and unheated/ treatment free ruby is still tougher. Ever since the US banned trade in Burmese ruby (that perfect pigeon blood red ruby, intensely saturated color) followed by the EU, the lure of the Red gem has only increased, heightening a desire to possess the forbidden. It is believed that the monies from the ruby trade fueled the weapons, lined personal pockets of the junta elite as well as aided the atrocities of military junta in Myanmar. This enigma coupled with the seriously prohibitive price it commands, the value of the goods has only grown every passing year. 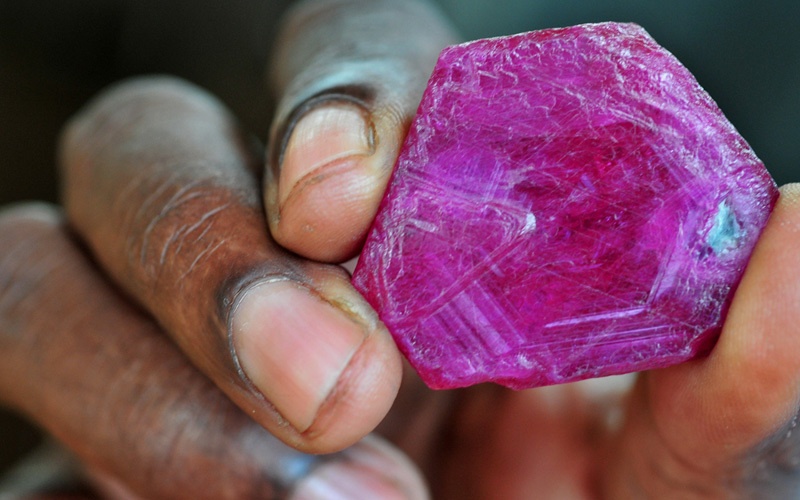 In the wake of these developments, new deposits of ruby in Africa proved to be a viable option. Not just because they produced ruby, but as the ruby found here had good color and clarity. Ruby is found in the other countries but it has a marble like appearance which is hardly fetching, neither in terms of appearance or in terms of value. 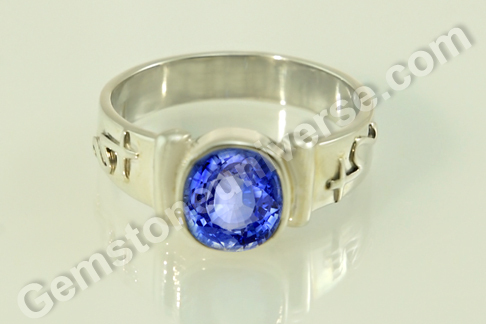 Consequently most of the ruby is heat treated or fracture filled with lead glass. Most of the ruby mined in Mozambique comes from the Montepuez mines and the Niassa Mines. 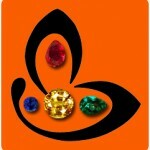 Gemstone universe presents to you, the new lot of natural unheated Mozambique rubies – Aditya 2012. The best jyotish quality natural rubies that will bring you optimum results in your implementation of planetary gem therapy. Although the size of the gems in this lot on an average is less than 1 carat, the purity and the intense saturation of color ensures that you gain the maximum mileage. 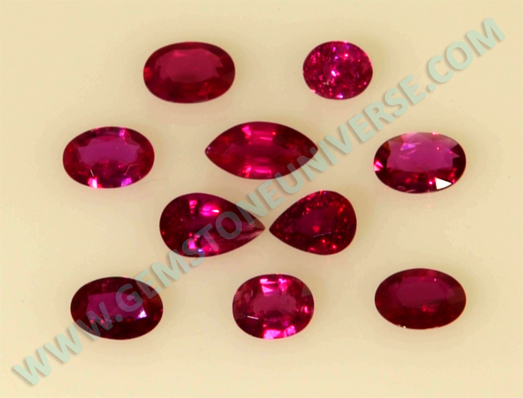 Ruby or manik is the gemstone of the Sun and is a very high energy gem. The purer and clearer the gem, the more intense will be its energy. You could wear a 10 carat marbled ruby but it will not give any result. However, a pure half carat natural untreated ruby will lead you to experience its phenomenal powers and transformative energies. 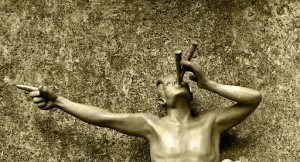 Comments There are subtle ways of working, especially with energies that are pure and strong. No matter how much explanation is offered, an element of mystique is always there.Featured today is splendid Chrysoberyl cat’s eye of 3.61 carats. 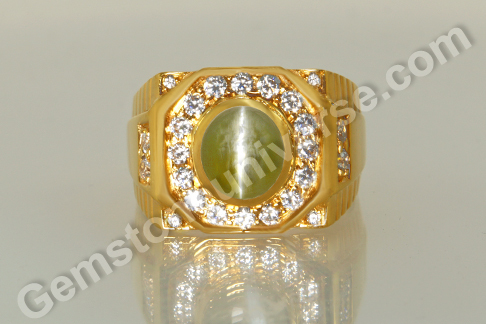 This chrysoberyl cat’s eye gem from Srilanka is fully natural and treatment free. 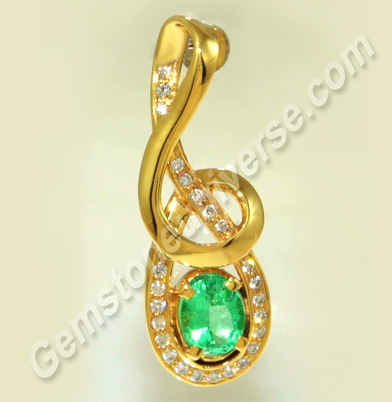 The gemstone is a rich Neptune green with a luxurious hint of gold. 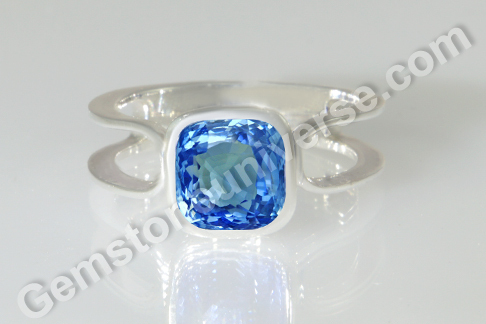 The oval cut cabochon shaped gem has a sharp chatoyant band running across it. The gem sits ensconced by diamond simulants in a 22 karat Ketu Talisman ring. 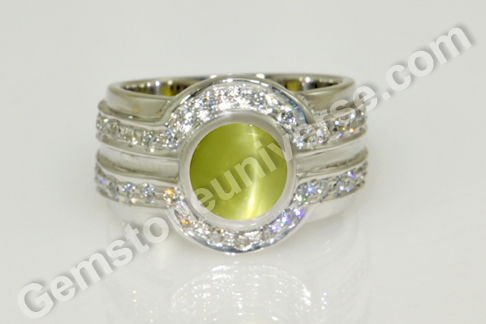 Chrysoberyl cat’s eye also known as vaidurya/ lehsunia / bidalaksh is the gemstone of Ketu. 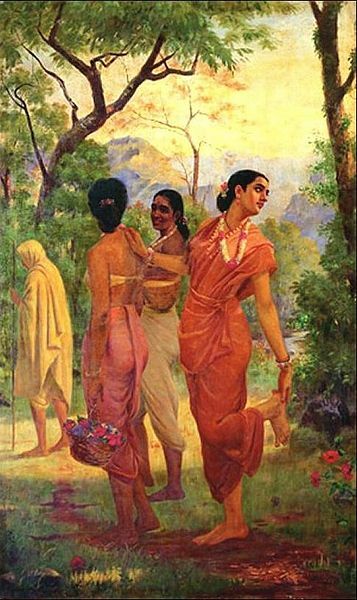 Ketu is the South Node of the Moon and being a shadow planet is mystical and mysterious. The planetary period of Ketu or a strong influence from this planet can lead to a disenchanted, unstable life. However, a well-placed Ketu can also script the destiny in marvellous and luxurious ways. 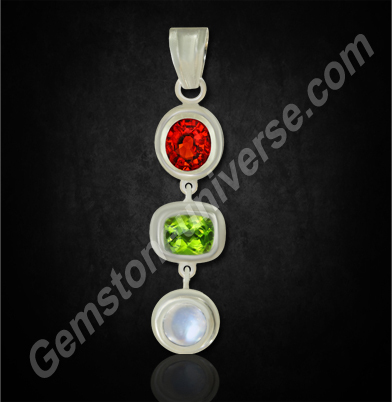 The cat’s eye is a gem with powerful energies and is a fast acting gemstone. It is a ‘phenomenal gem’, in that it displays chatoyancy. Elizabeth Taylor, the legendary Hollywood actress known for her love of gems and for her marvellous gem studded jewelry collections once remarked – “ I adore wearing gems, but not because they are mine. You cannot possess radiance, you can only admire it.” She loved her gems and they loved her right back, the connoisseur, and her wealth only grew. Comments Ever wonder how it so happens that some people brighten-up an environment with their presence? It’s all the play of energy that they carry, their vibrancy. Featured today is a fine live wire gem – a natural Ceylon Yellow sapphire of 5.54 carats, set in 22-karat yellow gold as Jupiter Talisman ring. 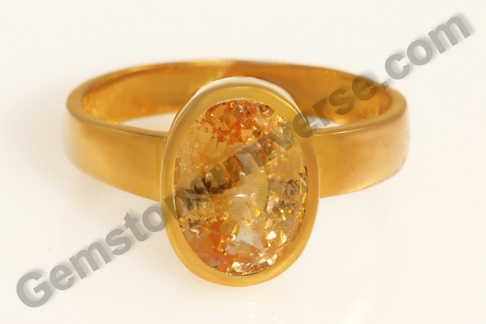 The gem is an oval cut radiant beauty with a golden butter yellow color that has a fair tint of orange to it. Visible proof of nature’s extra interest in fashioning the gem! 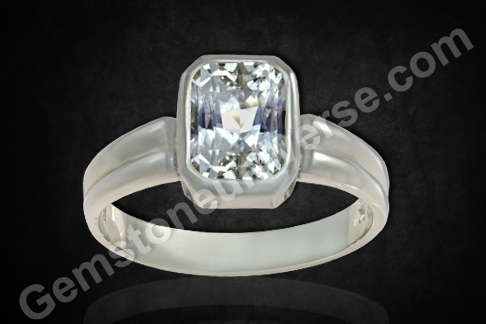 Exceptional clarity and lustre make this gem striking. A fantastic weight of 5.54 carats adds to the charm and the exclusivity of this fabulous gem which is a fantastic bet for planetary gem therapy. Yellow sapphires are fancy sapphires. Also known as pukhraj, they have been used for ages to harness the benevolent energies of Jupiter/Guru/ Brihaspati. Jupiter is the mentor of the gods much respected and whose counsel is sought in every important matter. The texts of Vedic astrology describe Jupiter as the embodiment of wisdom, well versed in Vedas and is a stickler for justice. He is always depicted wearing yellow clothes, adorned with yellow flowers. 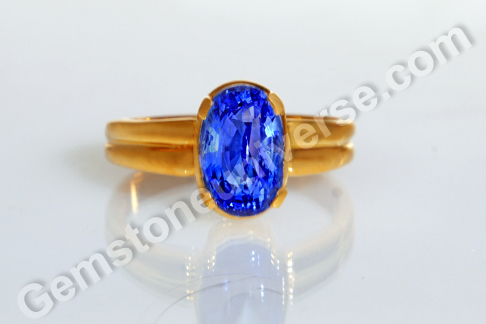 Natural Yellow sapphire is his gemstone and the metal is gold. He rules over the two zodiac signs of Sagittarius and Pisces. Jupiter governs the body fat. One can invite good fortune and abundance into life by harnessing Jupiter energies through use of a natural yellow sapphire.